Think you have what it takes to stop a worldwide viral outbreak? 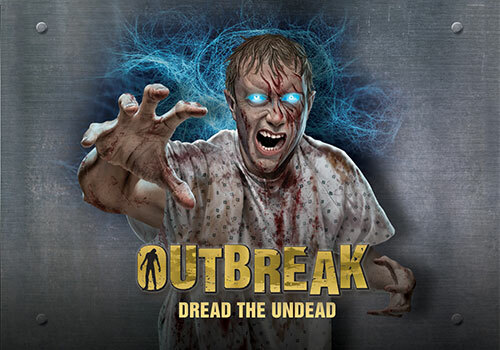 “Outbreak — Dread the Undead” is taking Pigeon Forge by storm. 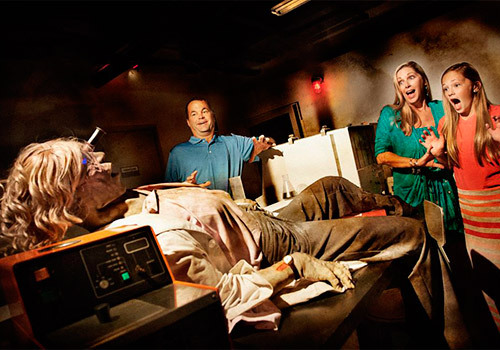 Participants are bombarded with live scares, realistic animatronic zombies, lights, sounds, and special effects as they attempt to make it through — alive! Do you dare combat the zombies and save the entire world? Or will you run away screaming? 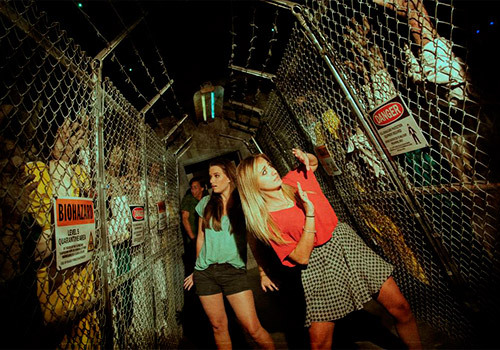 Walk-through attraction filled with zombies. Help rid the world Alpha-Strain. Located next to the Hollywood Wax Museum. Can be scary for little kids. Outbreak: Dread the Undead. Can you save the world from a dangerous viral outbreak without being exposed yourself?! Chemacorp might have meant well with Alpha Strain, but the gene-altering substance turns humans into zombies. Their experiment-gone-awry has turned test subjects into throngs of the undead—and their testing facility into ground zero for a zombie apocalypse! You'll shriek your way through the ransacked biotech lab, morgue, and rotting basement. The challenge? Rid the world of Alpha Strain, or, at least, make it out alive (and screaming)! Is this attraction appropriate for children? 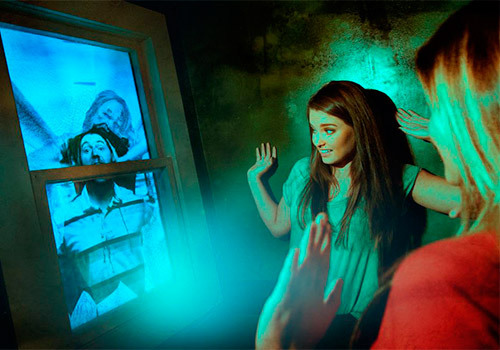 This attraction requires guests to walk through close hallways filled with zombies and other potentially frightening effects and scenarios. Parents should use proper judgment when allowing their children into the attraction. Outbreak is located at 110 Showplace Blvd. Unit C, Pigeon Forge, TN 37863. We are located right next to the Hollywood Wax Museum. When is the attraction open? Outbreak opens at 9:00 am and closes at 10:00 pm or later.